The declarative-procedural dichotomy is highly relevant when choosing the most suitable process modeling language to represent a discovered process. Less-structured processes with a high level of variability can be described in a more compact way using a declarative language. By contrast, procedural process modeling languages seem more suitable to describe structured and stable processes. However, in various cases, a process may incorporate parts that are better captured in a declarative fashion, while other parts are more suitable to be described procedurally. 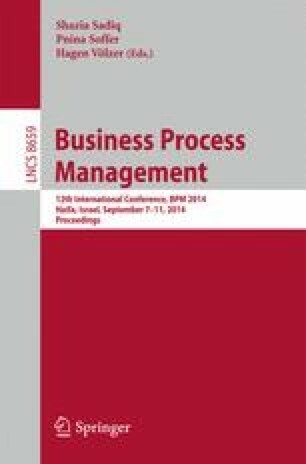 In this paper, we present a technique for discovering from an event log a so-called hybrid process model. A hybrid process model is hierarchical, where each of its sub-processes may be specified in a declarative or procedural fashion. We have implemented the proposed approach as a plug-in of the ProM platform. To evaluate the approach, we used our plug-in to mine a real-life log from a financial context.